Regarding U.S State Department's "International Religious Freedom Report 2009"
Viet Nam rejected the U.S. House of Representatives Resolution H.Res. 672. Information in the Resolution is ill-founded and inobjective. The passage of a resolution in the U.S. House of Representative on an issue of Viet Nam's internal affairs is not in line with practice in international relations or with the growing Viet Nam - U.S. relations. (VNA) The US Secretary of State Hilary Clinton has reaffirmed the commitment of the US to strengthen and deepen its relationship with Vietnam and the nations of Southeast Asia. Hilary made the remark at the joint meeting with reporters at the US Department of State on Oct. 1 following a meeting with Vietnamese Deputy Prime Minister and Foreign Minister Pham Gia Khiem. “We believe that this is a region vital to global progress, prosperity, and peace, and we are fully engaged with our partners in ASEAN on a wide range of challenges," she said. (VNA) About 200 Vietnamese and US scientists met at a workshop which opened in Ho Chi Minh City on Sept. 24 to discuss measures to take advantage of opportunities in scientific cooperation. The workshop, the first of its kind, is part of a Vietnam-US agreement on scientific-technology cooperation. Participants discussed cooperation opportunities in green energy, nano and electronic technology, bio-technology, solar energy and in the communications sector. (VNA) A ceremony was held at Hanoi's Noi Bai international airport on Sept. 12 to repatriate the remains of US servicemen who died during the war in Vietnam. US Ambassador Michael Michalak and representatives of the Vietnam Office of Seeking Missing Persons (VNOSMP) and the US Joint POW/MIA Accounting Command (JPAC) attended the ceremony. This is the 111th hand-over of remains of missing American servicemen since 1973. 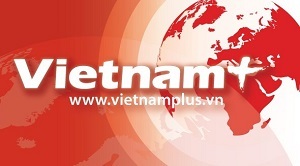 (VNA) The Vietnamese Ambassador to the US Le Cong Phung granted an exclusive interview to the Vietnam News Agency regarding former Lieutenant William Calley’s public apology on the mass killings in the Vietnamese community of My Lai during the war and the level of cooperation that both countries have had in addressing the consequences of the war. 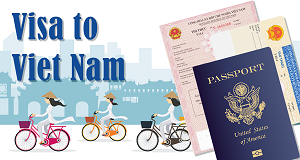 (VNA) A Vietnamese mission, led by Le Dung, former spokesman of the Foreign Ministry, has arrived in Houston city of Texas state, the US, to prepare for the opening of another Vietnamese general consulate in the country. Dung, who has been appointed as the head of the Vietnamese General Consulate in Houston city, met with the US Department of State representative in Houston, Betty Mc Cutchan, shortly after his arrival to ask for the representative’s coordination in the preparations. (Mofa) In the afternoon of June 24th, 2009, the Repatriation Ceremony of remains of U.S. servicemen who died during the war in Vietnam was held at Danang International Airport, Danang City, Vietnam.